Dedicated business credit cards offer many tools personal credit cards don’t have. They can save you money, help track expenses and simplify taxes. Businesses of all sizes – from a sole trader to a company employing a large staff – can derive benefit from a dedicated business credit card. Besides offering many tools that personal credit cards just don’t have, they provide an opportunity for both business owners and employees to keep business and personal expenses completely separate. You can apply for a business card if your business has an Australian Business Number (ABN). Credit card or charge card? 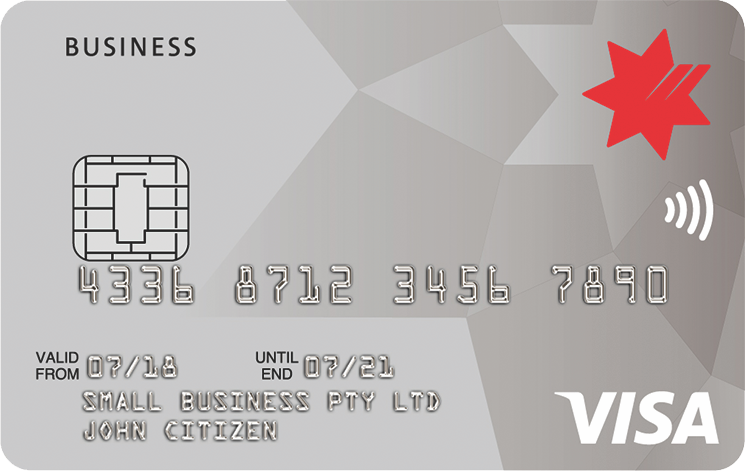 Cards for business use come in two flavours: credit cards and charge cards. A business credit card, much like a personal credit card, has a definite credit limit as well as the option to defer payment of some of the purchase balance beyond the due date. Interest charges are incurred, but the available line of credit can prove very useful. Business charge cards, on the other hand, do not have a fixed credit limit (although the credit provided is not limitless) and you will be expected to clear the balance in full on or before the due date. The lack of a fixed limit offers extra flexibility for a business with seasonal or unpredictable purchasing spikes, but there is no option to postpone payment and pay interest. Individual, joint and several, or corporate liability? If you run a business and have an ABN but your business is not incorporated, you will be personally responsible for all transactions on your business card. You will have liability as an individual for the debt incurred by all primary and supplementary cards on the account. Partnerships may be able to choose a joint and several liability business card. This means that although all partners have agreed to be jointly responsible for the debt, in the event of a payment default the bank could, if it chose, pursue any single partner for the entire debt. Larger corporations will be most likely to opt for corporate liability cards. In this case the company is the entity responsible for the debt. Sizeable organisations may be better served by a corporate credit card account, with the possibility of issuing multiple cards on a single account to a larger number of employees. Business credit cards tend to have larger credit limits than personal ones, for obvious reasons. The expenses of a business are usually far larger than those of an individual or family. This means that you will need to have a very good credit history (for a business card with individual or joint and several liability), or that your business will need to demonstrate a history of both profitable operation (probably via tax returns) and timely payment to its creditors. As well as a global credit limit for the account, it is possible to set individual limits for supplementary cards issued to employees. One of the most useful features of most business card accounts is a superior expense tracking and reporting capability. Business expenses are now already separate from personal ones (for the sole trader), but additional tracking tools are available on most types of business cards. Expenses for each card in each month can be listed in detail and in total, and the data can usually be exported to a spreadsheet or directly into your accounting software. For small businesses in particular, this can save hours or work at tax time. Business cards often come with the same kinds of rewards and benefits attached to personal credit cards: rewards points, frequent flyer points, complimentary travel insurance, airport lounge access and even free flights. These benefits can deliver real savings for your business. Rewards points can be exchanged for office equipment or employee incentive gifts, for example. If you or your employees travel frequently, frequent flyer points, travel insurance, lounge access or free flights will all reduce your business expenses. Some cards offer travel insurance specifically tailored to business needs, including card account balance waiver or expenses for business trip completion by an alternative employee, in specified emergency circumstances. Business cards on the whole have fairly high annual fees and interest rates, reflecting the additional benefits they often provide. However, just as with personal cards, it is possible to find a business credit card with introductory offers such as temporary lower interest rates (or even permanent lower rates), reduced or waived annual fees in the first year, and sign-up bonus points. If you expect to issue a large number of cards to employees, you will need to check the annual fee for additional cards. This could be anything from zero to $100 or more per card. Other fees to take into account are foreign transaction fees, late payment fees and over limit fees. Fortunately, if the card is used solely for business expenses, all fees, including the annual fee, should be tax deductible. Compare the business cards on this page to find one that is suitable for the size, structure, number of supplementary cards required and spending pattern of your business. 100,000 Qantas Points when you spend $4,000 on everyday purchases in 60 days. Earn 1 Qantas Point per $1.50 spent on everyday business purchases. 100,000 points when you spend $4,000 on everyday purchases in 60 days. Earn triple points when travelling overseas or overseas purchases made here in Australia. Earn double points on purchases made in major department and hardware stores. Earn 2 points per $1 spent on Virgin Australia services and up to 1 point per $1 spent on other purchases, except for government bodies where you’ll earn 0.5 points per $1 spent. Earn up to 1.5 Membership Rewards point 1 for every $1 spent (new earning rate effective 15 April 2019). Earn up to 1.5 ANZ Reward Points per $1 you spend on eligible purchases (conditions apply). Up to 55 days interest-free on purchases. PayWave technology makes shopping even easier, and faster. Enjoy low annual fee of $45 p.a. Choose two different Rewards schemes in earning rewards program: Standard Rewards Membership or Premium Rewards Membership (convertible to Qantas points). Q: What kinds of business cards are available? Varying card issuers: Just as with personal cards, a business card can be a Visa, Mastercard, American Express or Diners Club card. However, American Express has the largest choice of business cards in Australia. Varying card features: Features such as rewards and frequent flyer points, sign-up bonus points, complimentary insurance, other travel benefits, and even low interest rates, are all available with business cards. However, business cards with low annual fees may have few or none of these features. Credit card or charge card: A business card may be a credit card, with a fixed credit limit and the option to defer payment and pay interest, or a charge card with no set credit limit and the strict requirement for full timely payment of the account balance each month. Q: How are business cards different from personal credit cards? In many ways, business cards function identically to personal credit cards, allowing users to make purchases including online and over the telephone, make withdrawals at ATMs and buy foreign currency. However, business cards are issued to a business with an Australian Business Number (ABN), not to an individual, although a business with an ABN may in fact be operated by a sole trader or partnership rather than being incorporated. Regardless of the business size, multiple cards on the one account can be provided to members of staff. Equally, a sole trader may need just one card. Q: Who is responsible for the debt on a business card account? Individual liability for a sole trader: The sole trader is personally responsible for repayment of the debt, including any debt incurred on supplementary cards issued to employees. Joint and several liability for a partnership: The business partners are jointly responsible for the debt, but each of them could also be held responsible for the total debt. Corporate liability: For an incorporated business, the card account is usually held in the name of the company. The company has liability for the debt. Q: Can employees with supplementary cards spend as much as they like, up to the card account credit limit? Where cards are issued to the employees of a business, it is normal for each card to be assigned a fixed limit which will usually be much lower than the global account limit. E.g. total account limit $50,000, with cards issued to ten employees with limits of $5,000 each (or varying limits, but still with a total of $50,000). It is also possible to limit the kind of expenditure permitted. E.g. a procurement officer may only be allowed to purchase business stock or equipment from certain suppliers, but not use the card for travel and entertainment. Q: How can I tell how much has been spent by each card on the business card account? Most business cards cards offer special financial tools to help with expense tracking, budgeting, accounting and taxation. Online access means that most transactions will be visible shortly after they are made. And each card’s monthly transactions are itemised in detail in the monthly statement, as well as being reported in total. The ability to track transactions is a major advantage of a business credit card, replacing hours otherwise spent tracking down transactions. Data can usually be exported from your online card account into a spreadsheet or into accounting software such as MYOB and QuickBooks. Q: What factors should I consider when choosing a business card? Available credit limit: The card you choose should have a credit limit that could cover all the monthly expenses of your business if necessary. Interest rate: Even if the bank allows you to have a large spending limit, you should still aim to clear the balance each month. However, the purchase rate applied to your credit card is still an essential feature to consider, since any ongoing debt incurs this interest rate. Your cash flow’s ups and downs may see you needing to use your line of credit from time to time. Expense tracking functionality: Look for monthly statements listing each supplementary card’s expenditure in detail and in total, and the ability to export data to a spreadsheet or your accounting software for extra reporting flexibility and time-saving. Rewards program: If the card features a rewards program, make sure it suits the way you and your staff spend, and offers rewards that can help reduce business costs. As a rule of thumb, ensure that the value of the benefits likely to be derived from the rewards program each year is at least equivalent to the annual fee. Sign-up bonus: If there are significant sign-up rewards or frequent flyer points on offer, there may be a possibility for a sizeable one-off reduction in your expenses. E.g. the bonus points may be enough for several free business flights. Complimentary benefits: Built-in free travel insurance for cardholders could provide serious cost savings for your business. (Read the insurance product disclosure statement , however, to make sure that the cover is sufficient for your needs.) Some business cards may offer a free domestic flight annually, or airport lounge access. It all adds up to either reduced expenses or a better experience for your employees. Introductory offers: Look out for introductory offers. Banks may offer introductory rates to new customers, such as low purchase interest rates for an initial period. This can be helpful for new businesses to make essential purchases, but you should be wary of how the deal changes at the end of the promotional period. Always check the revert interest rate and the offer expiry date. It may be that a card with a higher initial rate is better, because its ongoing, long-term rate may be lower. Annual fee: Credit cards for businesses often have a higher annual fee than personal credit cards. This fee covers all the extra business-specific features, rewards schemes, insurance policies and other benefits, and provides access to larger credit limits and greater spending power. Ensure that the annual fee is affordable and that the extras you are paying for are genuinely beneficial to your business. Q: How can I improve my chances of qualifying for a business card? Make sure your credit history is in order. To be successfully approved for a business credit card, you need to have a very good credit rating. Once a year you should request a report from a credit checking agency (such as Dun & Bradstreet) to make sure everything is in order and there are no mistakes on file. A healthy credit history means the bank will be more willing to provide a higher credit limit, a lower variable interest rate and better financial options. Q: What documents do I need to apply for a business card? For an individual or joint and several liability card, you need to be over 18 years of age, be a resident or citizen of Australia, have a good credit history and earn above a certain annual income threshold, which varies from card to card. You also need to provide your financial records and ABN number.